Atlanta home builder, than look no farther than Traton Homes. The numbers are in and the metro area builder once again made the Atlanta Business Chronicle’s list of the Top 15 Home Builders in Atlanta. In fact, they were the highest ranking local builder on the list, coming in at No. 6! However, this isn’t the first time that the builder was recognized for their outstanding homes and customer service. In addition to being consistently ranked on the Atlanta Business Chronicle’s list, Traton Homes is a five-time recipient of the GuildMaster Award for excellence in customer service and has received several gold and silver OBIE awards from the Greater Atlanta Home Builders Association. Traton Homes can be found building new homes priced from the $180,000s to the $700,000s in more than 15 communities throughout the metro Atlanta area. The locally owned home builder celebrated their 41st anniversary this summer, and they are still going strong with new communities opening every year. In fact, Traton Homes recently announced that they will soon begin building new homes priced from the low-$800,000s in the amazing coastal community, Frederica, located on St. Simons Island! 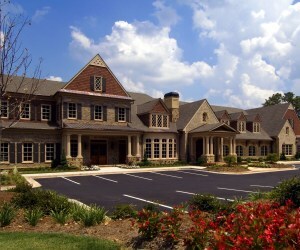 Traton Homes is known throughout metro Atlanta for providing buyers with an ‘Altogether More’ experience.